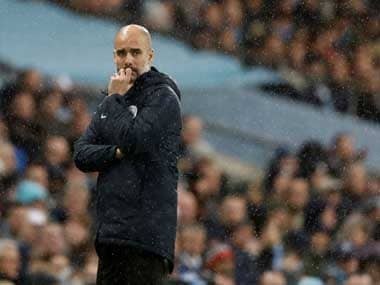 Manchester: Manchester City manager Pep Guardiola said his team’s merciless approach in their 9-0 League Cup destruction of third-tier Burton Albion on Wednesday was a form of respect for their opponents and the competition. City were 4-0 up at halftime but continued to rip apart their vastly out-classed League One opponents as they ran up the biggest margin of victory in an English cup semi-final. 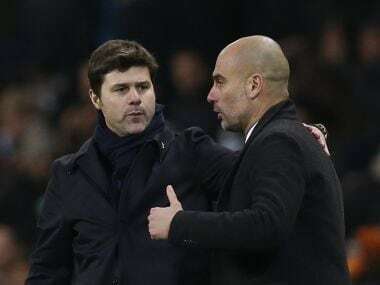 “If you forget to continue (attacking) you don’t have respect for your opponent or for the competition,” said Guardiola. “We spoke about it at halftime, to play simply and try to score more goals. That is the best way to respect the competition and opponent. The best way is to do what you have to do,” he said. “The difference between the Premier League teams and League One teams, of course the quality of the players no doubt about that, but especially the rhythm. When you have that high intensity and rhythm for 90 minutes, in the end they go down,” he added. 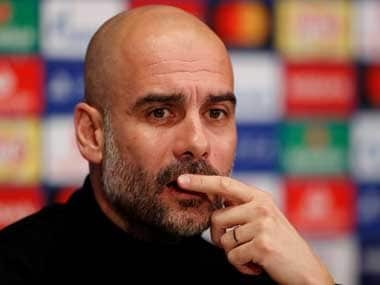 Guardiola spoke with some Burton players on the field after the game and praised the club’s achievement in reaching the last four, a run which saw them beat Premier League Burnley, Championship Aston Villa, Nottingham Forest and Middlesbrough. “Burton have had an incredible tournament. They have to be so proud, they did so well,” said the Spaniard. Burton boss Nigel Clough, son of Nottingham Forest’s former European Cup winning manager Brian Clough, said he was not surprised at the outcome. “We didn’t expect anything less with the gulf between the two teams, we thought it could have been more. We didn’t do too much wrong, two or three of the goals we could have done more but we didn’t do too badly,” he said. Asked if he wished that his team had not had to face such an opponent, Clough said it was important to remember Burton’s entire campaign. “Do I wish we hadn’t played? Not at all, we have made history in getting this far,” he said. “It wasn’t about tonight it was about the achievement of getting here. We kept going right to the end, they were shouting ‘we want 10’ and we stopped them, that’s a positive for us. Some of the youngsters have had an experience that you can’t buy. “It’s not nice when the goals are going in and you can do nothing to stop it. Pep said come in for a glass of wine and I hope he’s got more than a glass. They are capable of doing that to Premier League teams,” he said.